I have not uploaded a Birchbox post in a very long time which is something I am very sorry about. 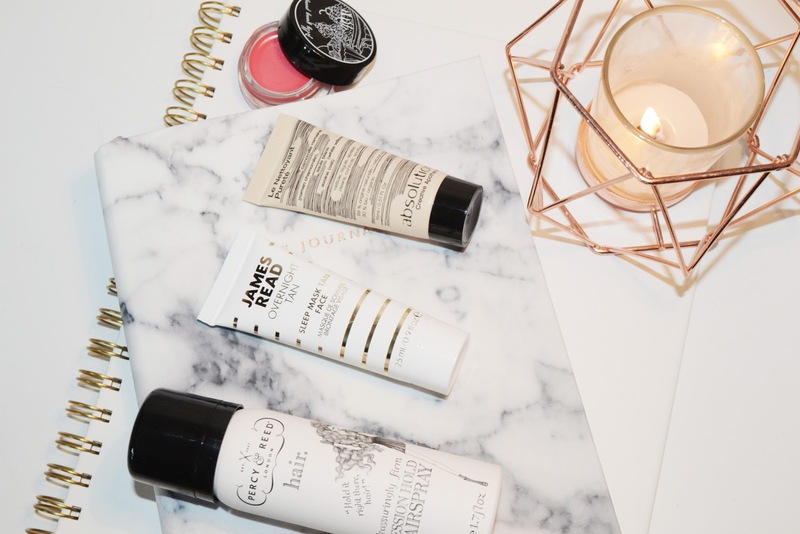 I've recently not been very happy with some of the products within them and therefore have not felt that I wanted to blog about them. 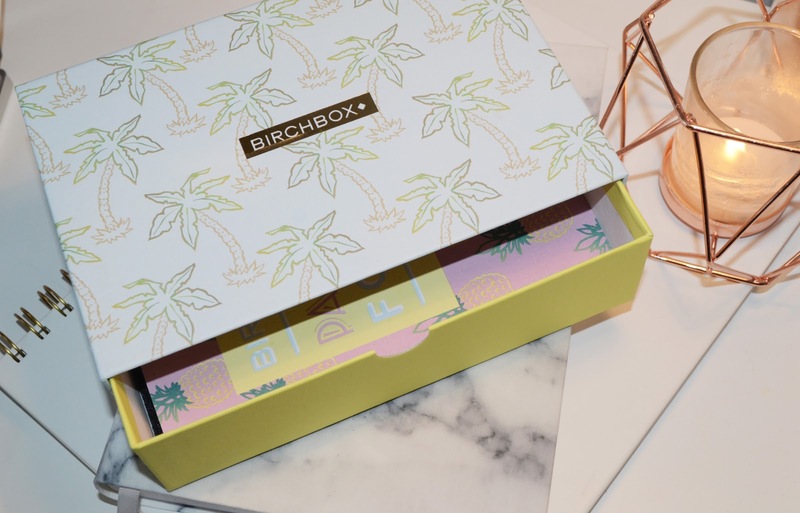 However, the June Birchbox is currently sitting on my side staring at me and I thought I would blog about it before I have even opened it. This month I've not read any of the emails teasing what could be inside the box so I am none the wiser about it. As always it has come packaged in its pink cardboard and I can tell it is the regular side box as it did not get posted. Instantly I am already excited as it is unlike any of the other boxes. This particular one does not have a lid, but inside has a pull out drawer with the products inside! This makes the perfect storage device and I honestly hope that they continue to make them like this. The box itself has a lovely gold label with 'Birchbox' on the front and then lots of palm trees covering it – making me excited for summer. On opening I am greeted with no bag – which I am actually grateful for as I have so many of the Birchbox cloth bags already. The products inside I am super impressed with this month. The first thing that caught my eye is the Percy & Reed Session Hold Hairspray, I have been in need of a new hairspray for a while now so I am thrilled to see this. 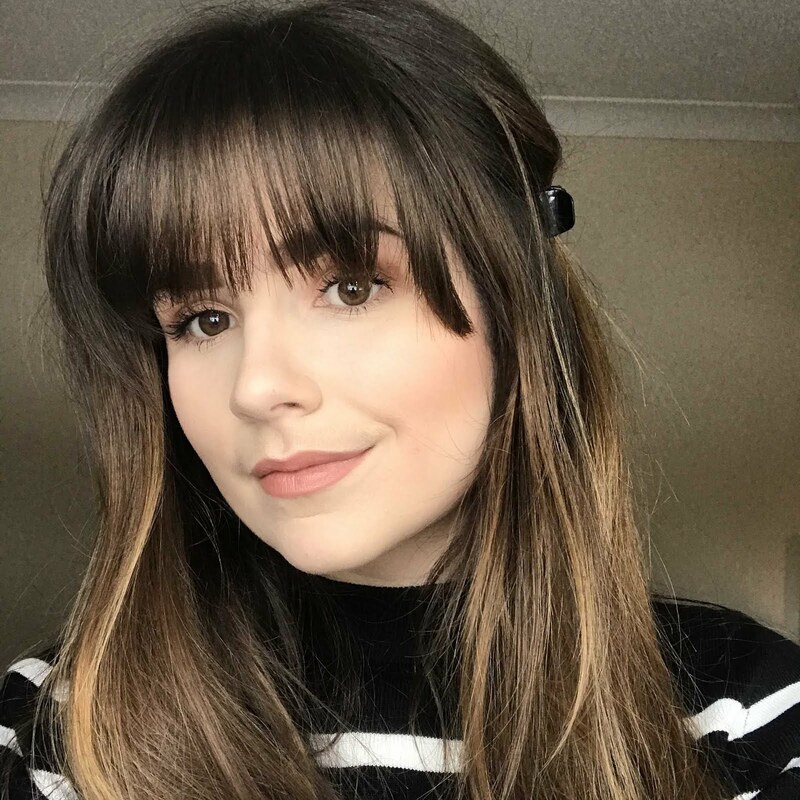 I use the Percy & Reed Dry Shampoo and absolutely love is so I know I will love this particular product. This hairspray claims to be a strong hold and reassuringly firm – somethings I am keen to put to the test as I love to curl my hair. The next product is the Laura Mercier Souffle Body Creme in Amber Vanilla. Laura Mercier products are amazing and I am always thrilled to receive them. This moisturiser smells beautiful and it states to apply it top to toe. It's a rich whipped formula that makes applying it quick and easy. The third product is the James Read Overnight Tan Sleep Mask Tan Face (what a name!) This fake tan for your face works as you sleep, I am slightly scared to try this product but at the same time excited as when I fake tan I never do my face and just make up for it with make-up. However, it goes on colourless and claims to develop into a golden glow overnight – so we shall see! The next product is the Absolution Le Nettoyant Purete, I had no idea on first glance what this was but it is a gentle gel face cleanser. It contains natural ingredients like chamomile and oats that help to remove dirt and grime whilst reducing redness and irritation. I always like receiving mini facial cleansers as they are perfect to take away when travelling. The final product I received was the Jelly Pong Pong in the colour Cake Pop. This is a two in one product that can be used as a cream blusher or as a lip colour. However, when I swatched this it's definitely more intense that I thought it would be, so be warned! From the notes I can see there is also a red colour which personally I think would have suited me more but it is definitely a lovely colour for the summer! Do you receive Birchbox? If so what was your favourite product?